In some instances, the need for a new roof is more obvious than other cases. 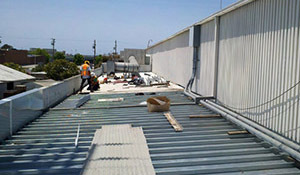 Commercial roof replacements are a large investment. With Capital Coating, Inc., you receive nothing short of the absolute best. We understand that a total roof replacement can be a stressful time for building owners, so we do our best to ensure the entire process is as smooth as possible. From the very first phone call to the final project walk through, you will be privy to our hassle-free services. 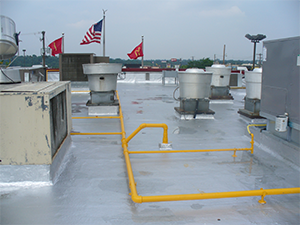 Commercial roofing systems are designed to withstand the elements and provide long-lasting performance. That being said, problems can arise when a roof is designed incorrectly, mistakenly installed or proper repairs are not adequately preformed. 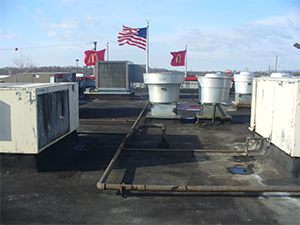 Luckily, you have multiple options when it comes to your commercial roofing asset. Here are some questions to ask yourself and your commercial roofing contractor so you can decide which replacement option is best for you. Are you looking for a long-term roofing solution? We have several affordable roofing options for our clients. We provide long-term roofing solutions that will protect your roof for years to come. Our customized roofing solutions will give you the peace of mind that you are installing the best roofing substrate for your unique roofing asset. How did you feel about your current roofing system before it started showing signs of damage? Were you happy with your roof performance before mother nature or age impacted its functionality? We want to make sure that you have the correct roofing system for your building so our technician will fully evaluate available options for your building to ensure you have the proper roofing system. Is the entire roof damaged? In some cases, like with spray foam roofing, we can remove strictly the damaged portions of your roof as opposed to the entire system. 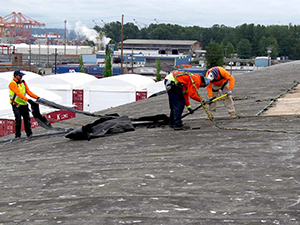 We will inspect your entire roofing structure and let you know whether or not a total roof replacement is necessary for your facility. What is my timeline for this roofing project? If you are looking for a faster solution due to a shorter timeline, we will happily inspect your roofing asset to determine whether a roof coating is an option for you. With just a quick and thorough roof cleaning followed up with a seamless, water-tight membrane that is applied directly to your existing roof, we can have you water tight in a shorter time frame. Whatever your roof replacement needs are, you can rest assured that our technicians will take the time to listen to you. Your concerns, wishes and ideas will all be taken into account. Please don’t hesitate to call us. You can reach us at (717) 442-0979. For a commercial roofing contractor that puts the customer first, every time, Capital Coating, Inc. is here for you.